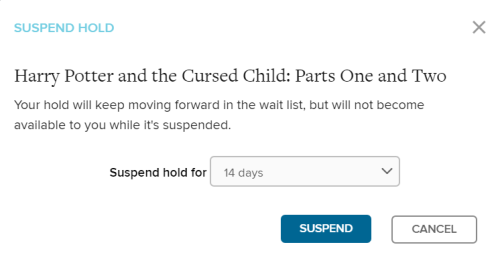 Q. I am going on vacation. 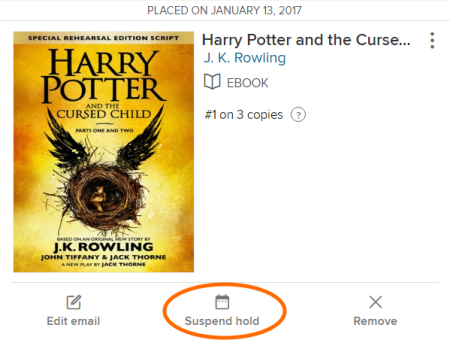 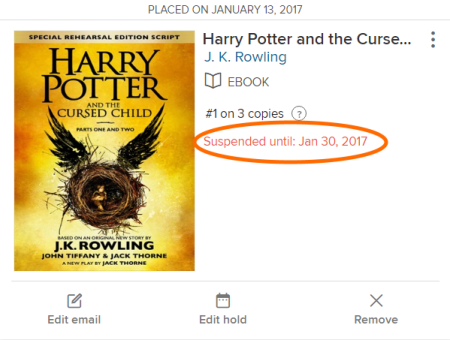 Can I freeze or suspend my holds on eBooks? In your Overdrive app, click or tap , then select Holds.